Facebook wants to incorporate a camera that watches you everywhere by launching Facebook Portal Device. This is a tablet kind of device, having a 10-inch screen. It allows users to make video calls from Facebook Messenger app. This product is exclusively focused on video chatting. The Facebook Portal device also displays photos, play music, and support a small number of video networks. At the initial launch, the features are very limited. 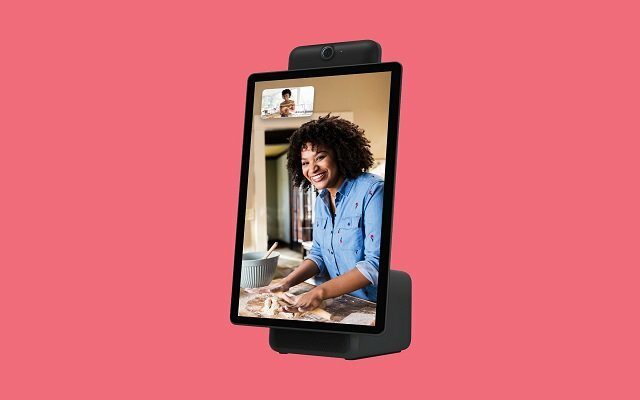 Facebook Portal Device- Will the video chat device spy on you? Right now you can use it to chat with people over Facebook Messenger. For users, the social media giant has built in some smart camera tricks to make it easier to use. As Facebook is already indulged in data breach Scandal, many people will not opt for Facebook Portal Device is surely the device will have certain privacy concerns. Many consumers will not want to install them in their living rooms. Yesterday we came to know about Facebook cloning account scandal, so the time will come whether this one will be feasible or not. Facebook has also installed Amazon’s Alexa on Portal for Smart home functions. Alexa will allow users of Portal to use voice commands for music on Spotify or asking questions. The device is expected to go on sale in the US in November. Facebook plans to release them elsewhere but it will take time.